A decade ago, Canadians Ivanka and David Di Felice moved it Italy, and David acquired Italian citizenship thanks to his Italian parents. That's when Ivanka began chronicling their adventure with her delightful series of well-written and perfectly edited Zany Italy books. This is book three and it, like the others, treats us to her comic perspective on making a new life in Italy. Comedy is difficult to write, but seemingly not so difficult for Mrs. Di Felice. She is blessed with that special talent of being able to be in a situation, yet also see it from an outsider's perspective, thus she can see the humor in even the oddest, most frustrating situations. 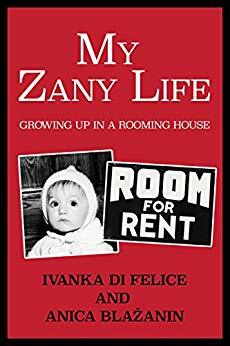 If you were ever curious about starting a new life in Italy, you will get a very accurate impression from this book and the previous two books. The subject of this book is one that most readers will find very odd: the couple renovate a rental property. Dilapidated dumps are seemingly often rented out in Italy, with the owners expecting the renters to fix them up, and install a kitchen and heating on their own dime. Welcome to Italy! We are treated to vignettes with neighbors, workmen, animals, landlords, other immigrants, and family members. The internet is transforming Italy just as it is transforming the rest of the world. Products are available online for home delivery, including a vast array of second-hand articles, which the economical couple take advantage of, even with the frustrating experiences with couriers. There are also some wonderful experiences with Italians who drive for hours to find just the right piece, and for some adventure on the weekend. One of the reasons we came to Italy was for the slower pace of lie; now we have it and can't complain. My favorite chapter in this book is “Happy Anniversary” (except for when they leave the dogs in the car!) because it shows the development of her relationship with her in-laws who were featured prominently in the first book. Part of her mellowing with them is due to great loss: many of the family's elderly relatives have passed away over the decade, and her own father sadly passed away sending the author into a long period of grief. 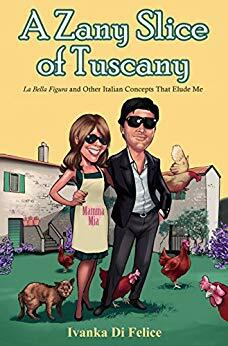 My biggest worry for Mrs. Di Felice is that her husband is using her for a workhorse, just as mine did for years, and that she will pay for it as I have, with many physical debilities. Stop that, David Di Felice! Stop that, right now! With their home fixed up, and hidden from the owner so he won't sell it out from under them or rent out at a higher rate, the author deserves some rest and recuperation, for the rest of her days, if you ask me! I look forward to book number four, which the author says will be the last. I'm not convinced, however. Her quirky mind, and constantly evolving life in Italy will provide much more comic material in the years to come. 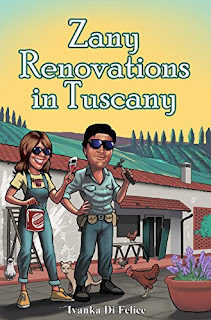 When Ivanka and David Di Felice discover the downside of their “too good to be true” Chianti region house, they resume searching for their dream home in Tuscany. Join them on a harrowing journey as professional house hunters, while you peek into Tuscan villas, apartments, and haylofts. At long last, they find an idyllic spot, surrounded by rolling hills graced with vineyards and olive groves, distant stone villas, and clusters of cypress trees. But the home has been vacant for years. Follow their adventures as they embark on renovations, endeavouring to bring the abandoned house and garden back to life. If you’ve ever imagined packing it in and moving to Italy, the book also provides practical advice on how to do so. As always, a cast of quirky characters enters their lives, and the author’s candid, sympathetic viewpoint captures their charm and the local color. Can Ivanka and David finally relax and sit back with a bottle of Chianti wine to watch the sun set over the Tuscan hills? Escape to Italy in this witty, heartfelt travel memoir, Zany Renovations, to find out. 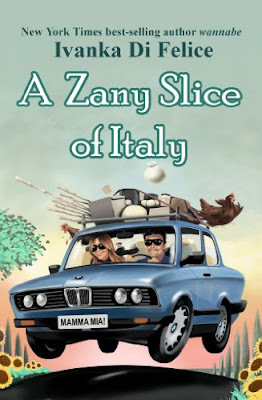 This book can be read as a stand-alone or feel free to tag along for more laugh out loud adventures in Italy by reading Ivanka's A Zany Slice of Italy and A Zany Slice of Tuscany.